The politically correct "Happy Holidays!" greeting prompted Zig Ziglar to respond with a clear Christmas message. This tract is perfect to share "the real reason for the Christmas season" with anyone, thanks to Zig's popularity and witty approach. The good news is that though our grief was fresh, we still celebrated Christmas. We received no toys that year, but much to my delight in my gift box I found three English walnuts and something I had never tasted before—raisins! They were absolutely delicious. Mama prepared her wonderful molasses candy, and we had a small cedar tree. And my mother read the Christmas story, like she always did. My sixth Christmas will always have great meaning to me. We celebrated the birth of Christ even in hard times because we believed in Christmas. Unfortunately, over the years things have changed. The cheerful “Merry Christmas” of yesteryear has been replaced by the politically correct “Happy Holidays!” In the minds of many people, we celebrate “holidays.” Not only is Christ not at the center of the celebration, he isn’t even considered to be a reason for the season! If I seem upset about the changes that I see taking place in regard to Christmas, it is because I am! It’s not because an old tradition is being changed. No, I’m upset that the event that made it possible for me to have a life I could never have imagined is being hidden from view with decorations, wrapping paper, parties, and political correctness! 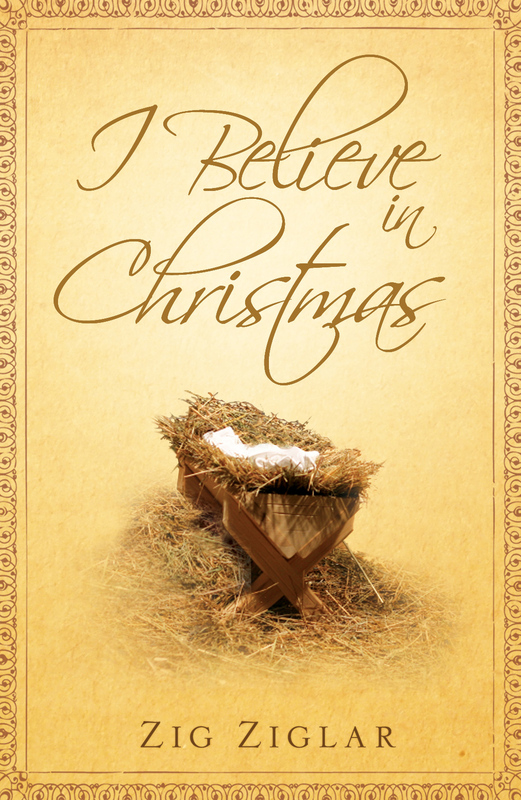 You see, I believe it’s worth celebrating that Jesus came to earth—his birth signaled hope for all mankind. I believe that as he lived a perfect life before God and mankind, he showed that he truly was God’s Son. And I believe that by giving his life up on a cross, he completely paid the penalty that my sins—and yours—deserve before a holy God. And it was made possible because of that first Christmas. How could I not believe in Christmas? Because Christ was born as a baby in a manger, that’s more than enough reason to celebrate Christmas for what it is—a joyful occasion. I’ve experienced forgiveness of my sins, and have the assurance of eternity in heaven! If you don’t know Jesus Christ, let me say that he tells us in John 14:6, “I am the way, and the truth, and the life. No one comes to the Father except through me.” How do you do that? First, understand that I’m talking about a relationship, not a religion. All the world’s major religions emphasize that you qualify for heaven by your good works—the things that you do. Such “religion” is spelled “d-o.” Christianity is spelled “d-o-n-e.” Christ already paid for our sins when he died on the cross. “God shows his love for us in that while we were still sinners, Christ died for us” (Romans 5:8). And he rose from the grave proving that the punishment for our sins was fully paid. Nothing we could ever “do” could qualify us for God’s forgiveness and reserve our place in heaven. That’s why Christ himself said, “This is the work of God, that you believe in him whom he has sent” (John 6:29). God forgives us, saves us from our sins, and gives us eternal life based on our belief in what Jesus did for us. Why? Because God is gracious beyond measure! The Bible says that it is “by grace you have been saved through faith. And this is not your own doing; it is the gift of God, not a result of works” (Ephesians 2:8-9). Though “the wages of sin is death” (eternal separation from God), the greatest Christmas gift we could ever have is “the free gift of God … eternal life in Christ Jesus our Lord” (Romans 6:23). With gift-giving like that from God, I don’t want to lose the significance of Christmas. I believe in Christmas! Dear God, I do believe Jesus died for me and took the punishment my sins deserved. I want to receive your free gift of salvation and eternal life. Thank you for making this possible! Then join me this year in celebrating Christmas like you’ve never celebrated it before!